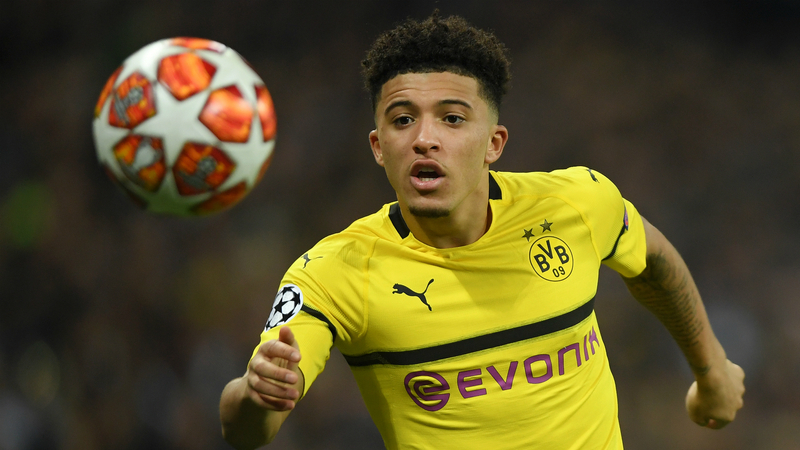 Sancho left Manchester City for Bundesliga outfit Borussia Dortmund in 2017 and the 18-year-old has flourished in Germany, where he has since become an England international. He showed flashes of his quality in Dortmund's 3-0 first-leg loss to Tottenham in the Champions League last 16 at Wembley on Wednesday. And former Arsenal manager Wenger said he attempted to sign Sancho before the teenager opted for Dortmund. "I wanted to take him from Man City when he didn't get the games," Wenger told beIN SPORTS. "I tried to lure him because he's from London. I tried to get him to Arsenal. He's one of the best players of his generation. He can dribble, he has the arrogance. Wenger, meanwhile, said his hopes of coaching Real Madrid are "over" having turned down the LaLiga giants previously. The 69-year-old Frenchman's Arsenal tenure – which lasted more than two decades – ended following the 2017-18 campaign and he has been linked with various jobs since leaving the Gunners. However, when asked about Madrid, Wenger said: "I have turned down Real Madrid more than once, but I must say now it's over for me. "Yes, we live with our values at the time it was in the middle of the process of moving the stadium. I guaranteed that and I'm happy with my decision." "I feel that if you ask any manager in the world they would say yes as they [Real Madrid] are the biggest club in the world," he added.